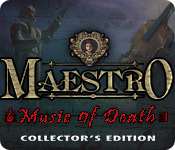 Maestro: Music of Death Collector's Edition is rated 4.2 out of 5 by 30. Rated 5 out of 5 by Bumbles2 from Loved every minute of this awesome game !!! Great suspensefull game...I enjoyed every minute. This is the first game of the Maestro series I have played and I'm definitely going to be buying more of this series !!! It starts out with you being summoned to a town...the town folk are rapidly aging and dying and the sheriff wants to find out why !!! You have 5 different areas to conquer and every area is just as good as the last one. The artistry is beautifully done...the music is fitting. 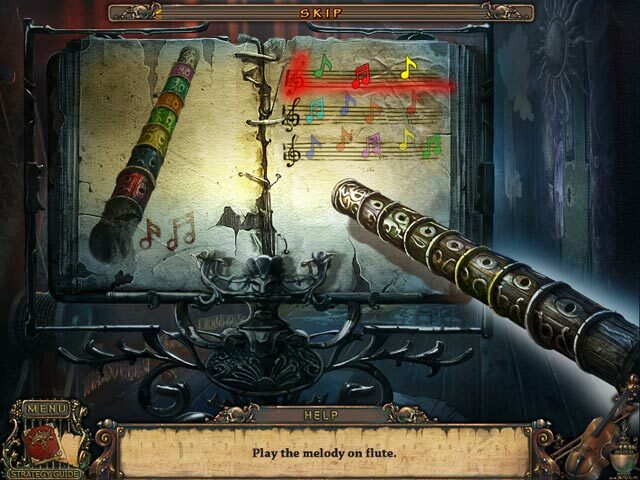 The mini-games and hidden objects are really nice to do as they are not impossible to achieve. You can easily do these without having a panic attack. The story kept me totally immersed in the game...it is well written and will hold your interest. There were a few areas that were a tiny bit challenging but with a bit of thought and strategy they are all doable !!! Well folks this is the end of my blurb...I think you'll enjoy this game...its also a great game to have in your library...have fun all !!! Rated 5 out of 5 by Lioness901 from Music to my ears Very creepy yet very entertaining game. In this game, you find that there's music playing that's killing everyone and not only do you have to find out where the music is coming from but you have to stop the music playing. The music does indeed give me the creeps but I just love it. I love the spookiness of this game. Rated 5 out of 5 by Boomer1097 from Excellent Game I really enjoyed this game! You are a detective trying to figure out why all the people in a small town are rapidly aging and dying. The graphics are excellent, the music is appropriate, the mini games are fun, the iHOS are good (some are rather dark) and the voice overs are well done. The built in SG comes in handy a time or two. The diary holds useful information. The ending of the main game led directly to the bonus chapter. The bonus chapter is excellent and completes the story. It also sets up the next chapter (game). The other extras are music, wallpapers and concept art. I highly recommend this game! Rated 5 out of 5 by sapoe from super! Just two words, LOVE IT!!! I really enjoy this game from beginning 'til the end. Also all of this series is one of my favorite games I ever played! Thank you ERS for making this eerie yet good game! I adore your gorgeus graphics. Good job, dev. Rated 5 out of 5 by grunny50 from Loved this game! I give this game high marks because I enjoyed it so much. I loved the HOS's, the puzzles, the music, the scenery, and the very, very wicked old music teacher! Beautiful game, and wonderful that it carries on in the sequel! 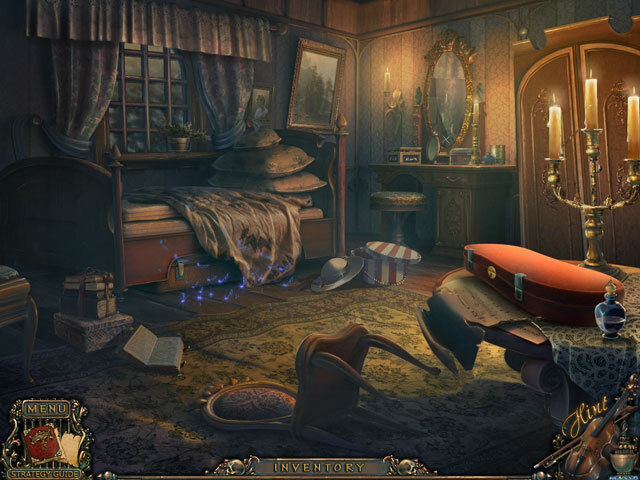 Rated 5 out of 5 by Hookedonbigfish from Good suspenseful game - had it all This game Maestro - Music of Death - had it all, suspense, adventure, hidden objects, puzzles, good music and background noises. A mysterious black cloud and eerie music emanated from a town whose inhabitants age quickly and die prematurely and the task is to locate the trapped little girl, discover the source of the music and free the town of the Music of Death. The dialogue is acceptable and notes in the diary record progress and events as they happen throughout the game. The graphics are good and clear and reasonably colourful for this eerie type of game but some areas of some scenes are a little dark, especially in the corners. 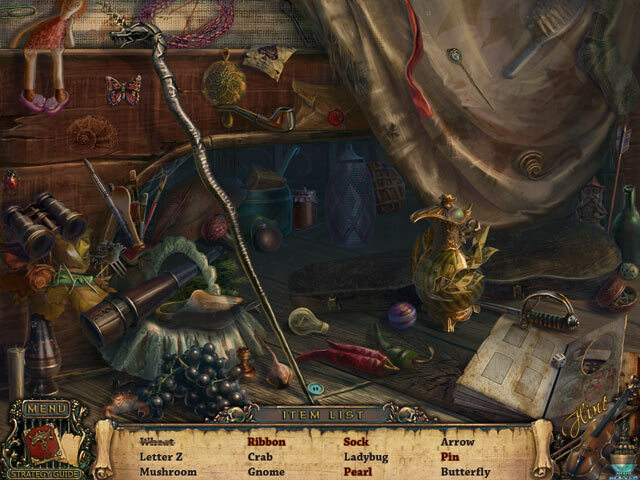 Having said that, the hidden objects are clear and well defined and do not present any great difficulty in locating most of them. The puzzles are unique and varied and quite ingenious and most were comparatively easy to solve but of course there are some tricky ones. One task that made me smile though was that a giant tree had fallen over the road and had to be cut with a little hand saw. Mission impossible. In general a very good and exciting game, I really enjoyed it, including the bonus section.